Just think about it – an angel up in the sky with a strong spotlight shining done on earth and moving along to guide a group of people to a special event yet to occur but predicted in a land far away. I think it is cute. This is the ninth block in this serious and am starting to wish it would hurry up so I can have it finished before Christmas. I think there is about 3 more blocks to go and looking at the finished picture there would be some another big one to finish in about a two week period – oh the challenge. And I still have to finish my other quilts. Well I’ll just have to get my act together. 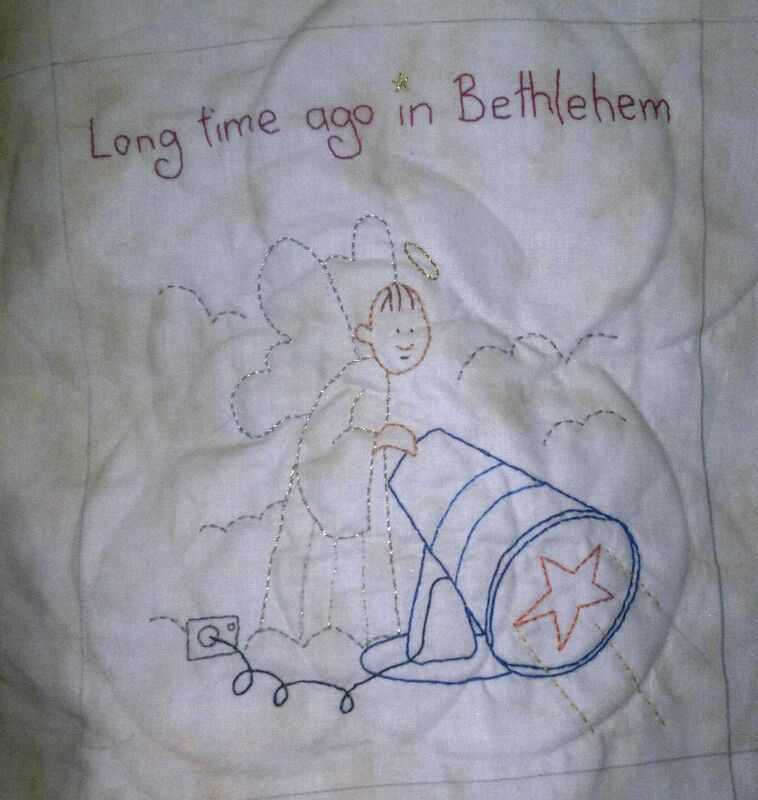 This entry was posted in Long time ago in Bethleham, Natashia Curtin, Stitch A Long and tagged Long time ago in Bethleham, Natashia Curtin, Stitch A Long. Bookmark the permalink.